There are numerous serial numbers lists for Holton instruments on the web today, so the list below I’m not confident on who to attribute this list to. However, if you have a dated receipt of a horn’s serial number, please contact us through the link in the header so we can add more detail to this serial number list. 3345 1907 169-175 Gladys Ave.
moved to Eastlake, Ohio. Marked the end of more than 100 years of mfg. 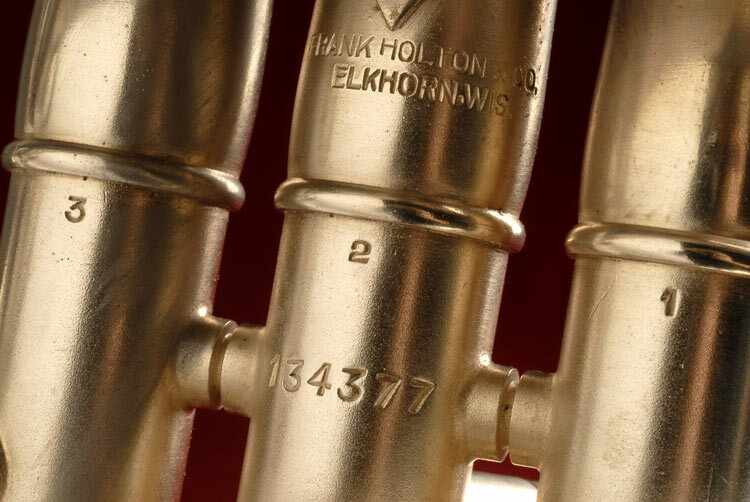 of Holton branded instruments.